Nowcomm would like to invite you to experience a condensed workshop of our 1 day Cyber Security Awareness course. We can’t promise that you won’t be a little alarmed but we can guarantee that you will be better informed and equipped to deal with these growing threats to your business. Please note there is a strict 5pm start in the Cinema. The Chimp Paradox will be brought to life at this not-to-be-missed breakfast event called "Managing the Mind". Who specialises in the functioning of the human mind. optimise individual performance and quality of life. communicating with others, or your health and happiness. allow extra time following the presentation if you would like Steve to sign your book. Marketing Derby Bondholders Ask the Chameleon and Bustler Market are joining forces to hold a Bondholder breakfast which promises to leave you brimming with ideas on how to take your companies profile to the next level. With over 3500 business awards open at any one time, are you missing out on significant opportunities to raise your profile, locally, regionally and nationally? Hayward, owner of Ask the Chameleon. Rachel has an impressive number of accolades under her belt including being chosen as one of the Small Business 100 in 2018 and winning the Micro Business of the Year from the East Midlands Federation of Small Businesses. Rachel has also been a finalist in the East Midlands Chamber of Commerce Enterprising Women Awards in two categories, The Burton Mail Rising Star and East Midlands Enterprising Women. people through its doors on the last weekend of every month. events in the Marketing Derby calendar. With the Aston Lark fixture against Australia, an England Women Twenty20 international and some great events to look forward to, 2019 is set to be a special year at the Club. Following a hot and hearty breakfast, hear from new Chief Executive Ryan Duckett, and new Head of Cricket, Dave Houghton about a packed summer of cricket and have the opportunity to meet a number of the 1st team squad who will also be in attendance at this event. Be amongst the first to hear about this year's events including An Evening of Queen, featuring the stars of London's West End and be in with a chance of winning some amazing prizes. Join the team that represented Derby and Derbyshire this year at MIPIM - the world's largest property conference held in Cannes. Hosted by Bondholder Déda, hear from Team Derby about the latest developments and schemes that were showcased as part of the Midlands UK Pavilion to promote the UK Capital for Innovation to a global audience. A hot breakfast will be served on arrival from 8am. 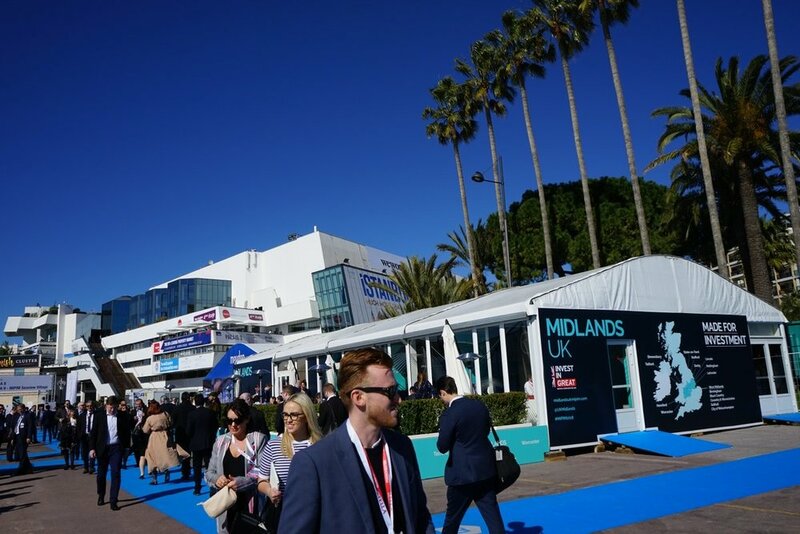 Following a successful MIPIM 2019, this Summit will bring together the investment promotions teams from Marketing Derby and Marketing NG - together with East Midlands Airport - to share the investment pitches made to a global property audience in France. Join us for this annual regional networking opportunity with brief presentations and a Q&A panel. Breakfast will be served from 9am. 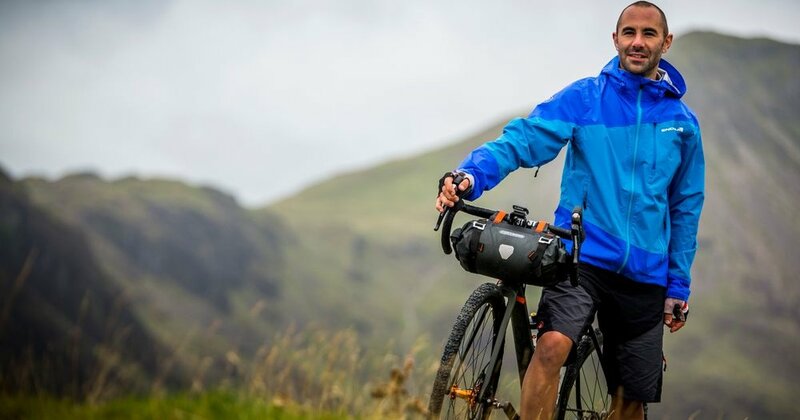 Marketing Derby Bondholder HUUB is delighted to invite fellow Bondholders to join them to welcome Prof. Greg Whyte, OBE to Derby and to catch up with HUUB Wattbike, the cyclistsputting Derby and the nation of Derbados on the world map. An independent British UCI track team, HUUB Wattbike started as 4 ambitious riders fromDerby with the desire to compete on the world stage. After a breakthrough season where theywon World Championships, a World Cup, Commonwealth Games medals and National Titlesthey are back, bigger and more ambitious than ever. Dean Jackson, proud owner of HUUB and sponsor for HUUB Wattbike, will be taking theathletes through their paces in an interactive Q&A. Expect some witty anecdotes, a little bit ofchaos and the odd cowboy hat! Next up to the stage, we will welcome Prof. Greg Whyte, OBE, a former Olympian and sportsscientist who competed in two Olympic games, representing Great Britain in the ModernPentathlon. He is a professor in Applied Sport and Exercise Science and a UK authorityon exercise physiology, sports performance and rehabilitation. Greg is well-known for his involvement in Comic Relief, where his role has been to train andcoach celebrities to complete challenges for charity. He has worked with David Walliams, John Bishop, James Cracknell, Cheryl Cole, Gary Barlow and Eddie Izzard and this year he is supporting Kilimanjaro: The Return. This year's Comic Relief will have aired on our screens the week before, soyou will hear straight from the horse's mouth how the celebrities coped with the challenge. Prof. Greg Whyte learnt from an early age that the biggest obstacle in life was people telling him"No, you can't" but we all have the ability to achieve what others may tell you is impossible. Greg will share with us aspects of his book "Achieve The Impossible" including the methodsthat can turn the ordinary into the extraordinary, mortals into elite athletes and how to deliver,not dream. Venue: The Carriage Shop Theatre, The Roundhouse, Roundhouse Road, Derby, DE24 8JECar Parking: Limited onsite. Please use the station car park opposite which is payable. Derby City Mission’s vision is three-fold the first being the eradication of extreme poverty in Derby, Derbyshire and surrounding counties ensuring that no-one is without a roof, food or clothing. Our vision is to address the growing number of homeless and vulnerable people by expanding the services we currently offer through our established crisis projects. We have identified 5 influencers that can create chaotic lifestyles which need addressing. These areas are: Mental health issues, Broken relationships, Drug and alcohol addiction, Criminal lifestyles and the ‘revolving door’ effect and Low/lack of employment skills. Following an arrival breakfast, Bondholders are invited to learn how Business Ignition Group can support businesses large and small and it will showcasing some of the projects it has worked on locally and globally. Back by popular demand, join the team from Nelsons who will guide you through a scenario from a real Employment Tribunal. You’ll be given a unique insight into the workings of the Employment Tribunal from receiving the claim to the judgement. Celebrate Valentines week with Bondholder Bespoke Inns, who have the Dragon at Willington, The Boot at Repton and Harpurs of Melbourne. Join the team for “Love is in the Ale” to sample some of its newest ales and BBQ nibbles from the Big Green Eggs in The Garden Room which offers alfresco dining 365 days a year. As part of the recent 20th Anniversary of Toyota-Derbyshire Twinning activities the Japan Local Government Centre will be hosting a conference to focus on creating opportunities for local business through international municipal twinning links. The conference will look at Derbyshire's longstanding link with Toyota City, international strategies implemented by local authorities with Japan and the importance of UK local authorities forming long-term partnerships to support their local economies. This event has been organised in partnership with Derbyshire County Council and Marketing Derby for local businesses interested in finding out more about the Japanese market and Japanese inward investment trends into the UK. Littleover-based Derby Grammar School is an independent day school which is making a big impact on the lives of children in Mwanza, Tanzania. Halfway through a 10-year life-changing project with Gedeli B school, teachers and students will share with Bondholders the story of the project so far and the plans for the next five years. You will also hear how the project brings about a real change in perspective for the Grammar School pupils who visit year on year. What’s super popular, and guaranteed to get you in a festive mood? Fizz-mas celebrations at BEAR! Join your fellow Bondholders for some Christmassy fun (and maybe a drop of Prosecco) at the last event of 2018. Marketing Derby Bondholder Flowerworld is delighted to invite fellow Bondholders to join them for breakfast and a tour of its huge flower site. The flower hub prepares the blooms for almost 490 Morrisons stores up and down the country, producing 900,000 bouquets a week as well as an online bouquet delivery service which covers the whole UK. Following an arrival breakfast, Bondholders will hear about the B2B brand, Bloom Market. An opportunity to find out how flowers can enhance your business and delight your customers. Prepare to get creative as we will be invited to make our own seasonal flower creations. Since 2015, the team at Pattonair have been focussing on their approach to corporate and social responsibility. They are about to publish the 3rd CSR report and with each year they grow a little more with targets being met and a cultural shift has begun. Enjoy breakfast and hear the story so far. Bondholders on a VIP tour of St James' Yard and recently re-opened The Palfrey. Work to transform the historic buildings in St James' Yard will soon be completed and Bondholders will be amongst the first to hear of the future plans for what was once the place where guests of the St James' Hotel would keep their horses and carriages. The Palfrey, which won Best Bar at the Derby Food and Drink Awards last year suffered a devastating fire which caused extensive damage resulting in Sharon and Amie having to close the venue. After a huge amount of commitment and hard work they have re-opened the doors and it is business as usual. Enjoy arrival drinks in both buildings and hear from both CWC Group and The Palfrey about how they are making their mark in Derby. Derby Museums is delighted to offer fellow Bondholders an exclusive tour of the former Derby Central Library building. As well as showcasing the exciting plans for this beautiful and iconic building, there will also be an opportunity to find out more about some of the events that are due to take place. Marketing Derby Bondholders AWD Development Solutions and Hot House Music Schools have joined forces to bring you an evening of music and team building lessons, kindly hosted by fellow Bondholder Derby Grammar School. Andrew will share elements from his high performing team framework to help you improve the teams in your business, and Jon will explain how he uses those elements in his work to develop some of the most talented young musicians in Derby. Bondholders will be treated to refreshments and throughout the event you will be entertained by the Screaming Kicks Big Band – one of the top youth big bands in the UK. In fact, a week after the event, Screaming Kicks will be representing Derby on their ten day US tour to Boston, New Orleans and San Francisco. So join Andrew and Jon for a fabulous evening where you will take away some top team tips and experience some fantastic musical talent. Following the success of last years Bondholder VIP Shopping Night, we have decided to do it all again! Invite your teams, friends and family to join Marketing Derby at intu Derby for a fun and relaxed evening of discounted shopping, live music and fizz, plus, complimentary car parking! It's all free (apart from the shopping!) so we hope you can come along. There are approximately 43,000 people in Derby who work for a Bondholder company and we would like to thank as many of them as possible for their support so please spread the word. QUAD has been at the heart of Derby’s cultural scene since it opened in September 2008 and the team are inviting you to help celebrate it’s 10th Birthday. Following a delicious arrival breakfast, sit back and hear from Adam Buss who will be looking back at a fantastic ten years and QUAD's TECH:SQUAD will also be on hand to show you how they can enhance your audience experience through mobile cinema, creative audio visual and digital development. The University of Derby continues to go from strength to strength having recently been recognised as a Top 30 institution in the UK by The Guardian and one of the Top 250 Young Universities in the world by the Times Higher Education. This is an opportunity to hear from Professor Kathryn Mitchell, Vice-Chancellor of the University of Derby, discussing the University’s 2018-2030 Strategic Framework, its ambitions for the future and its civic role within our region. Hold on tight and fasten your seat belts because the team at East Midland’s Airport are inviting us back for a behind-the-scenes tour of everyone’s favourite local airport. Passports will be required and expect a few surprises. 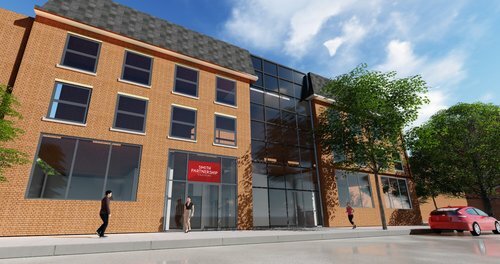 Bondholders are invited to join Smith Partnership at an exciting event to showcase their new offices with more than just a glass of bubbly to toast the official opening! Bondholders will have a chance to join in on a treasure hunt whilst exploring the swanky new offices and get to cool off with especially made ice cream and a pick’n’mix! Nutrivitality is inviting fellow Bondholders to come and learn about its ground-breaking new Beauty product. We lose an astonishing 1.5% of our skin's collagen every single year after the age of 20 which begins to affect our appearance. For decades now we've been using creams and masks to help hydration and improve skin tone, but the real innovation is in high absorption nutrients delivered orally to help maintain the skin's collagen levels. Nutrivitality will take you through the ageing process and how science can help keep your skin's youthful glow. Be the first to get a sample of the revolutionary skincare product. It is going to change everything. Derbyshire County Cricket Club is once again delighted to invite fellow Bondholders to its annual exclusive Vitality Blast hospitality experience, as Derbyshire Falcons entertain Northants Steelbacks at The 3aaa County Ground. The last few years have seen large numbers attend and with the theme "Beer & Balti" back for its second year, I'm sure it will be another hugely popular year. The evening, which is just £350.00 plus VAT for a table of 10, will include car parking, entry to the ground and Marquee, a pint of beer (or alternative), curry, private cash bar facilities, match programme and scorecard. Individual tickets are also available on a "Join-a-Table" basis at just £35.00 plus VAT. This special offer is open to Bondholders, their friends, family and work colleagues and is a great opportunity to enjoy the excitement of a Vitality Blast from the comfort of the Greene King IPA Marquee at The 3aaa County Ground. Come along to hear from Mark Averill about his passion for cameras and photography whilst enjoying delicious canapes created by the experienced chefs at Derby Conference Centre.